The long Memorial Day Weekend is close my friends and that means it’s time for a fun weekend getaway with family and friends in the mountains camping. This is one of the trips I most look forward to all year long because we lose all wi-fi and cell phone connection and really get to spend some time connecting with nature and our loved ones. Of course, our weekend camping trips wouldn’t be complete if we didn’t celebrate the Memorial holiday with some fun red, white and blue themed eats and drinks. My job this year is to create a fun cocktail that will keep us cool since the heat is rollin’ in fast! I decided to go with a light and refreshing sparkling cocktail with fresh raspberries and blueberries to keep our holiday theme. 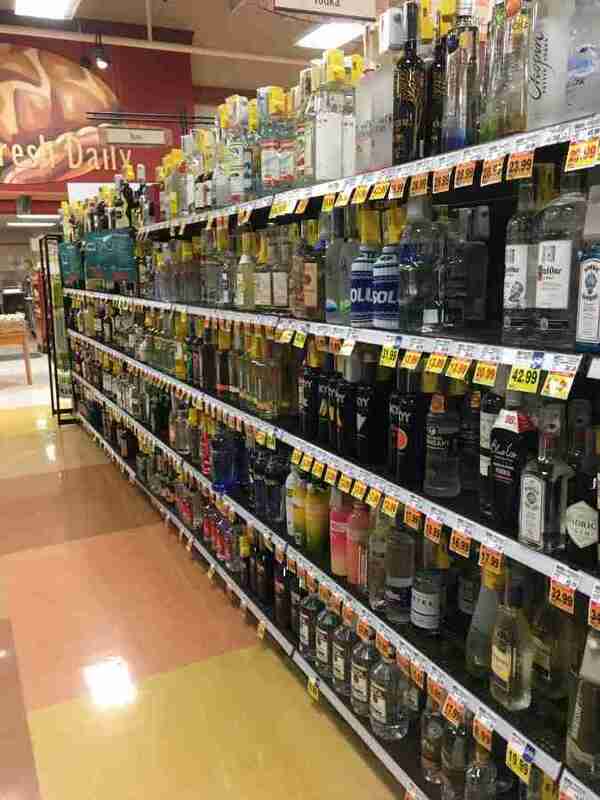 So I rolled out to my local store to grab some SVEDKA Vodka. I love this brand as it is as bold, confident, and outgoing as our camping group is and it’s distilled 5 times imported from Sweden. A top ten spirit brand, I can rely on SVEDKA for an amazing cocktail every time! Making this cocktail is quick and easy and can be changed up according to everyone’s own taste. 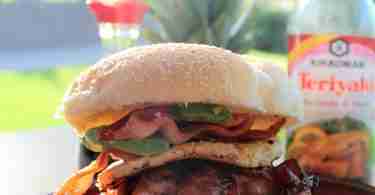 The best part is that it pretty much goes with anything we decide to cook since the flavor is so light and versatile. You can mix it up by adding more fruit, more lemonade, or more of the sparkling water for a cleaner taste. There are two ways to mix this cocktail up. 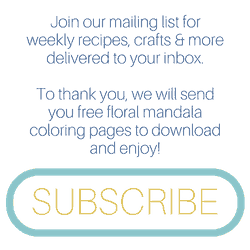 You can just toss it all together for a great tasting cocktail… OR… if you really want to make a statement and show off that red, white and blue, then you need to follow a few easy steps. First, add raspberries to the bottom of stemless wine glass. Next, add about 4-6 oz. of sparkling lemonade (you can use regular if you want a tart taste and aren’t worried about cutting calories). I use 4 oz. because I like to keep the flavor really light. 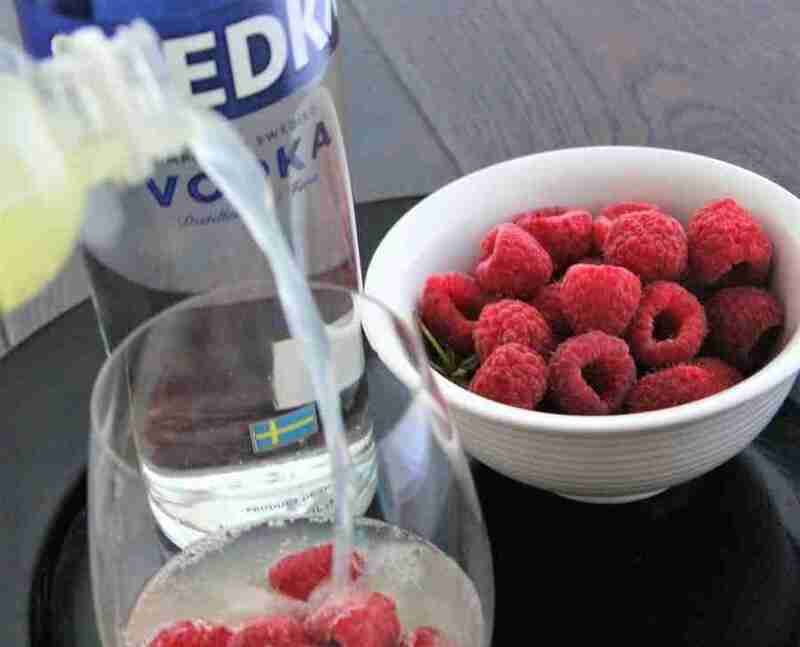 Add a layer of ice next to keep your red raspberries at the bottom of the glass. 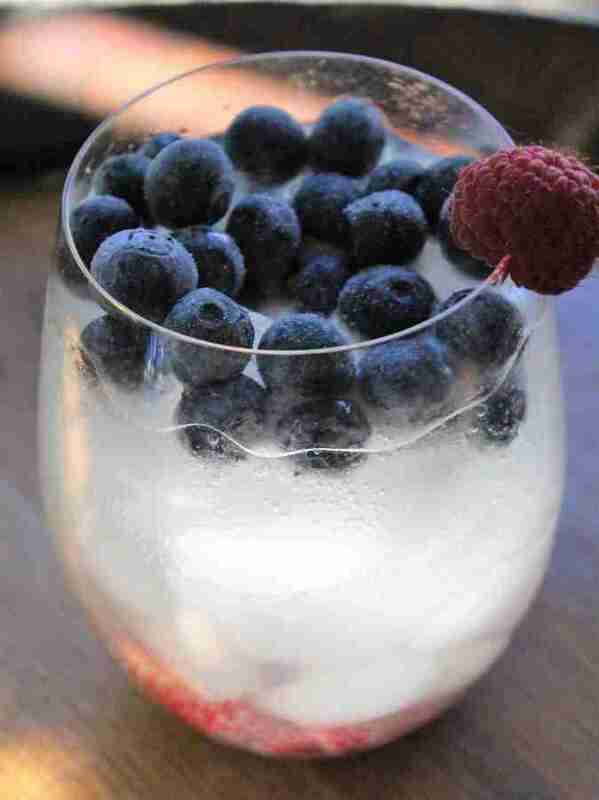 Add your sparkling water to cover the ice and top off with fresh frozen blueberries. Pour 4 oz. 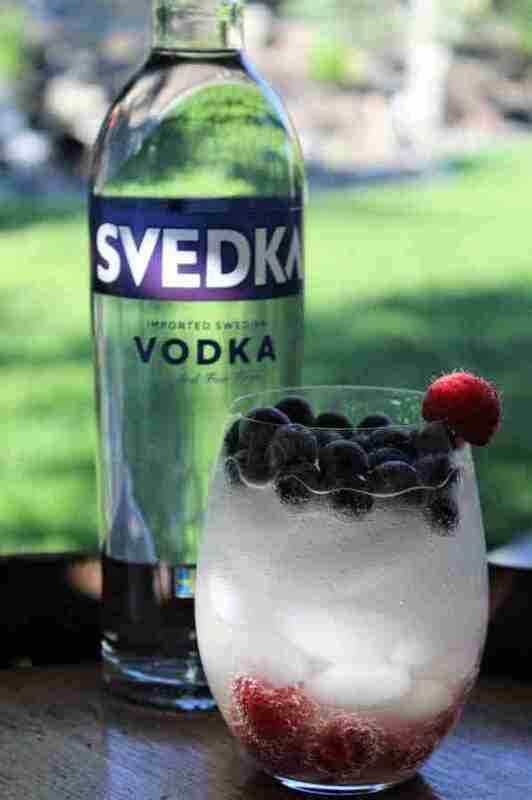 SVEDKA Vodka over the top. That’s it! 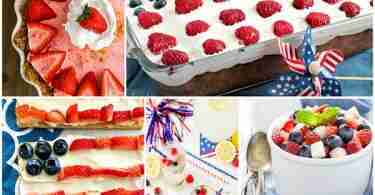 SO easy, festive, fresh & fruity. 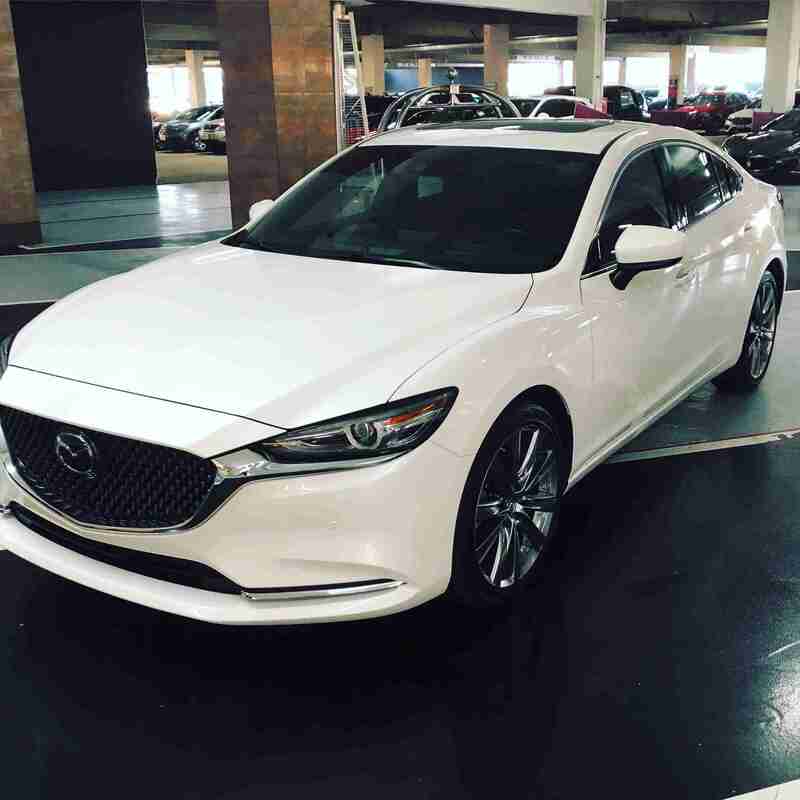 Perfect for a Memorial Day get-together! Now… you could drink it just like this but you don’t get all the benefit of the flavors dancing together on your palette… so go ahead and serve it with a straw so you can mix it all up before drinking! Cheers! 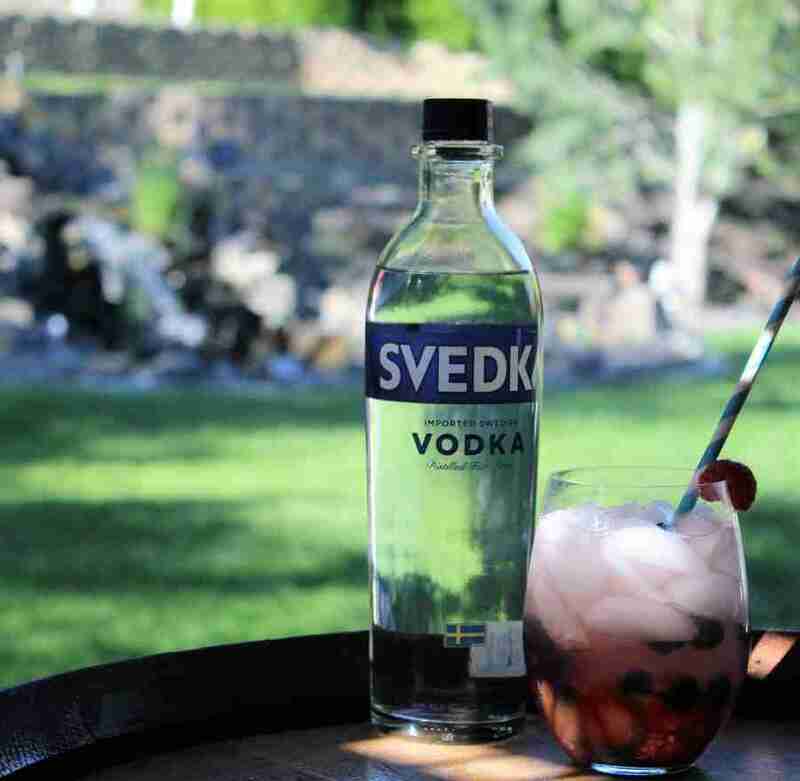 How will you celebrate your Memorial Day with SVEDKA? when you pick up all your Memorial Day cocktail fixin’s! 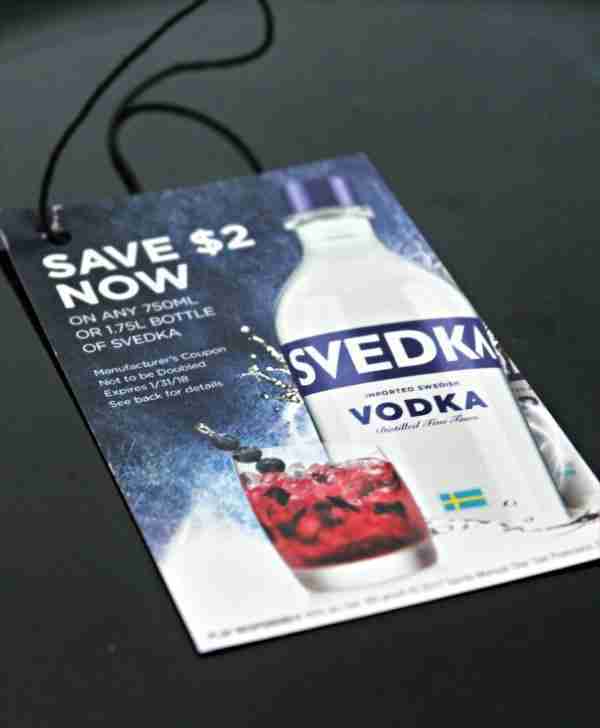 Click for more great Memorial Day SVEDKA Cocktail inspirations and check out this special Shopkick offer (click and download app) … Earn 75 kicks for scanning the UPC at shelf and 200 kicks for purchasing the product. 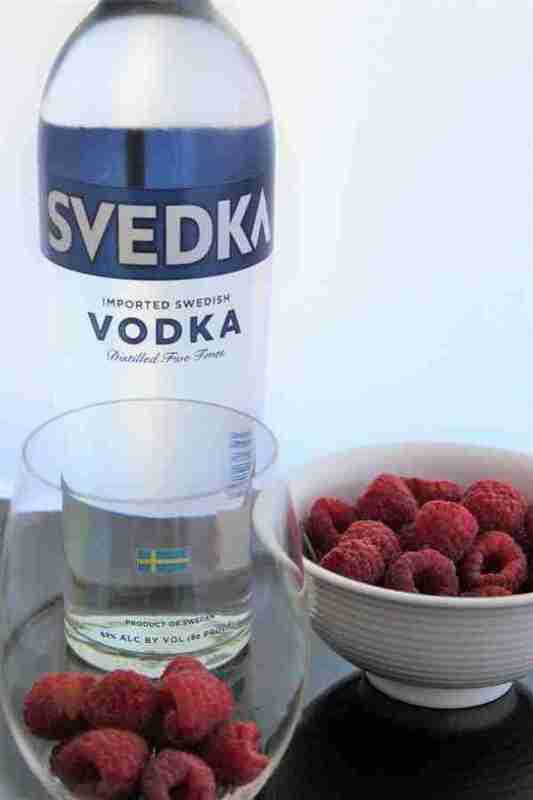 Add raspberries to bottom of a glass. Add sparkling water and SVEDKA Vodka. For best taste, before drinking, use a straw or spoon to crush raspberries and stir drink to blend flavors. 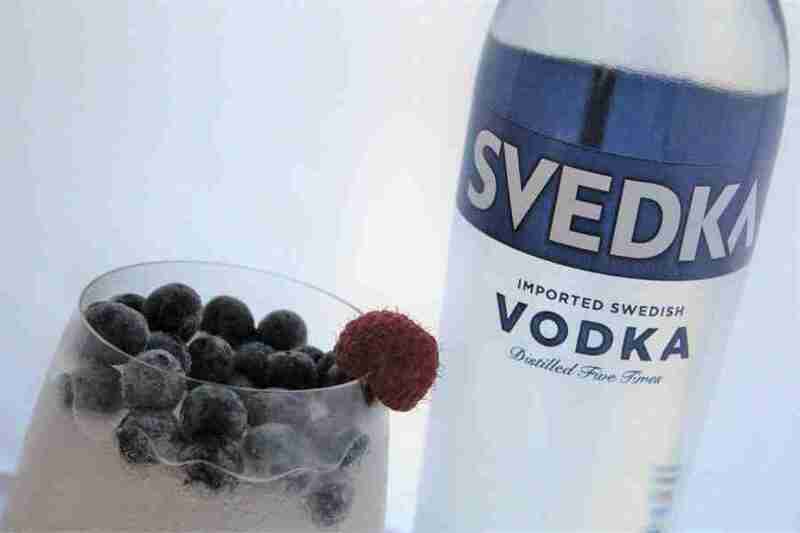 OR… Follow SVEDKA on social media for year-round cocktail fun! Be sure to “Pin It” for later!